Small claims courts are courts of limited monetary jurisdiction that are utilized for the resolution of smaller disputes. The monetary limit in small claims courts varies by state. On the low end, Massachusetts allows awards of up to $2,000, while on the high end, Tennessee allows awards of up to $25,000 in some of its counties. Generally, most states allow awards of around $3,000 to $5,000. You probably also know that small claims courts operate much more informally and more simply than regular civil courts, and decisions are speedy. The entire process, from filing a claim, to getting a hearing, to getting a judgment (or losing and getting nothing) can usually be accomplished in 60 days. In a regular civil court, litigants rarely can get to trial within a year and a half from filing. Like most Americans, you’ve probably seen one or more of the television shows that showcase small claims cases. These shows are obviously not real courtrooms; they are arbitrations and the awards are real. The conduct of these televised “trails” is actually quite close to what one might see in a real small claims case. The level of formality is fairly accurate, and the judge’s degree of inquiry into the facts is also fairly equivalent. One of the pieces of information I will offer here is that if you have a pending small claims case, you should attend a small claims case and observe the conduct. There are two very important insights that I want to put forward regarding small claims court. The first is that small claims courts tend to favor plaintiffs. In fact, as a lawyer advising small claims litigants, I would often jokingly refer to small claims court as “plaintiff’s court.” There are a few reasons for the plaintiff’s advantage. First, the speed and ease of entry to the court is an obvious advantage. If a plaintiff is forced to bring his or her claim in a standard civil court, the defendant can maneuver for months or years to avoid judgment. In civil litigation it is the plaintiff that wants to move the matter forward as quickly and easily as possible. Conversely, the defendant will usually want to slow the matter down, and complicate the legal process as much as possible; this frustrates the plaintiff’s attempt to get an award. 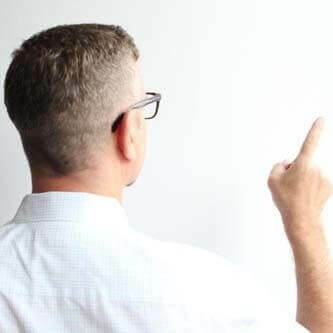 The second insight into small claims court that I want to put forward is that in my experience small claims court judges have a natural bias in favor of plaintiffs. This bias is understandable. Truly, most plaintiffs in small claims court have been wronged to some degree. Beyond that, by the time the plaintiff gets to court, he or she has probably endured some unpleasant wrangling with the defendant. Defendants have a natural tendency to appear and act evasively. So, generally, small claims judges will strain to find a way to get the plaintiff some sort of award. In my experience there exists a small minority of small claims judges that are simply poor adjudicators, or worse. Small claims judges are not particularly well paid, nor particularly well respected by their peers. They are just people, and they possess all the faults, limitations, and prejudices of ordinary folks. They take those limitations with them to work. And, even if the judge is thoughtful and competent, he or she will be overworked, and there is precious little time to hear every facet of every case. All this adds up to an inherent unreliability in small claims decisions. We’ll talk about the unreliability of decisions throughout this resource center, and how to deal with it. The actual reversal rate of small claims judgments on appeal in San Francisco is about 25%–recall that in California only defendants can bring appeals from small claims court. That’s a fairly dismal statistic; it means that many litigants are getting bad or unfair rulings in the small claims court. These reversals also highlight the “plaintiff bias” of the small claims court–the Superior Court does not always share that bias. The high reversal rate on appeal also shows the inherent unreliability of small claims awards. So, small claims courts are not perfect. But the idiosyncrasies of the small claims court can perhaps be used to your advantage. For example, assume that you have a plumbing business and you did some work for a client and the client didn’t pay you. On the other hand, assume that the client is complaining of a gouge in his granite countertop, and he claims that you made the gouge while performing your work. Your case, therefore, is not a sure winner. You both have a good argument, and there would have to be some back and forth in the court to get down to the facts of whether the countertop damage was your fault. In this instance, I’d recommend sending a demand to the client and I’d point to both the unreliability of the small claims court and the plaintiff’s bias. This might be enough to bring the client around. You might, in some cases, have to settle before going to court for less than the full amount that is owed to you. Settling is part of the lawsuit game, and sometimes a settlement can be a good deal for all. 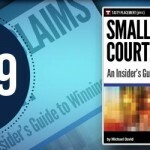 If you or your business is facing a small claims case, either as plaintiff or defendant, I’d recommend that you read this book through, and then focus on certain areas that are pertinent to your case. There are many steps through which you should pass before actually going to trial at small claims court. Remember always that the threat of bringing a lawsuit can sometimes induce a reluctant debtor to pay up. My goal in this resource center, and in my book is, quite simply, to help you win. I want you to get the best result possible in your case. That may mean going to court to either pursue or defend an action; we’ll cover both sides. You might also achieve victory by making and effective demand for payment, or by making an effective rebuttal to a demand; again, we’ll cover both sides. Pork in the Bailout Bill – No Tax on Children’s Arrows!